I know it's been a while and I'll admit, the holidays got the best of me. I wanted to check in to share something exciting with you all. 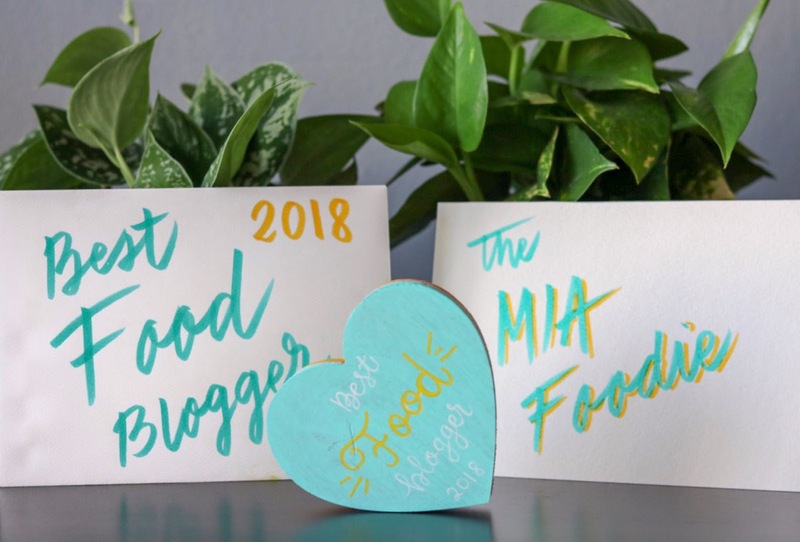 Sometime in November, I found out I made the list of nominees for South Florida 2018 "Best Food Blogger." The five bloggers with the highest number of votes then move on to become the official nominees for their category, and thanks to the support of my friends, family and all of YOU, I made it to the top 5 semi-finalist! From there, a panel of judges review each nominee and select the winner for each category based on the following criteria: Aesthetics (general style, design, layout, color scheme, and photo quality) - Writing (style, flow, and ease to read) - & Content (how topics relate to each other, creative content that delivers value). The award ceremony took place Sunday January 13, 2019. Being a semi-finalist nominee, clearly I thought "What if I actually win?" and so, I bought my ticket (lol). If you know me, you know I'm optimistic and all about positive vibes, but I was up against some pretty big blogs. Mine being the smallest and probably newest of the 5, I was just happy to have made it that far. I honestly didn't go with any expectation of actually winning. The moment they started presenting the Best Food Blogger nominees, I got extremely nervous lol. My name was called last, and then it came- "And the winner for the 2018 Best Food Blogger is... THE MIA FOODIE." It took a moment to really sink in but wow. We did it foodies. We won 2018 South Florida Best Food Blogger and I'm beyond grateful to be recognized for sharing something I love with the world. This blog is a creative outlet for me. A way to keep my sanity while doing everything else I actually "need to do" and I'm just happy my hard work has paid off in this way. If you voted for me, THANK YOU. From the bottom of my heart. And of course, Thank you to The South Florida Blogger Union!